« When at the End of the Road Karaoke Night! 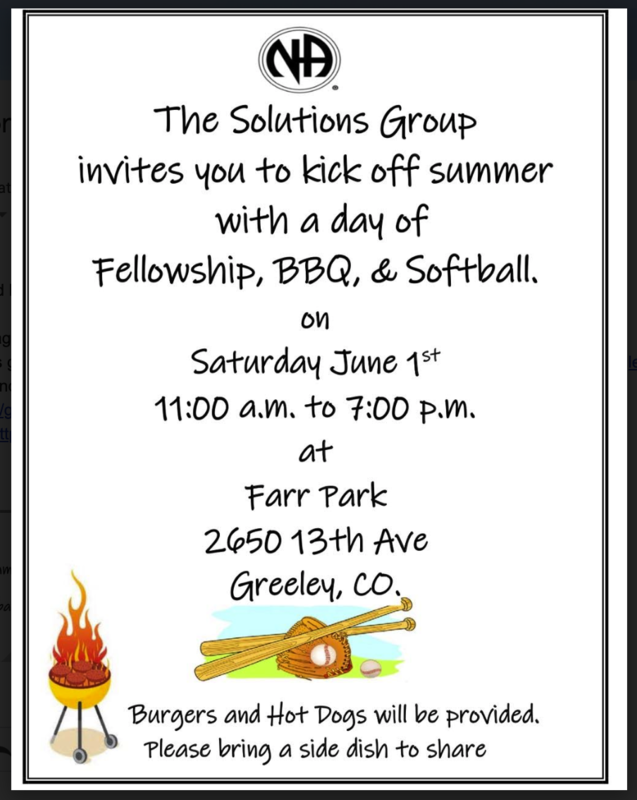 Fellowship, BBQ, & Softball at Farr Park in Greeley. Burgers and Hot Dogs will be provided. Please bring a side dish to share. Off The Wall Area of N.A.